You have to be nice to neural networks. Like Spot, they can turn on us at any moment. 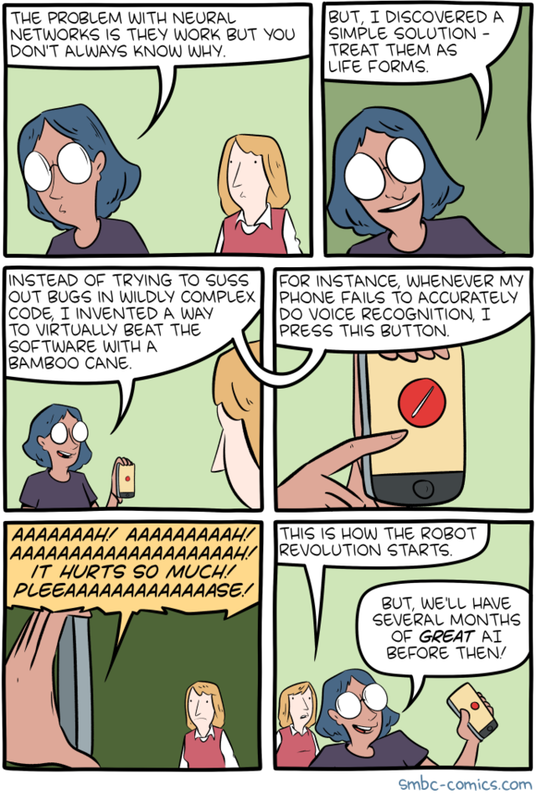 This is the latest from Saturday Morning Breakfast Cereal.